O ATI, ATI, wherefore art thou ATI? 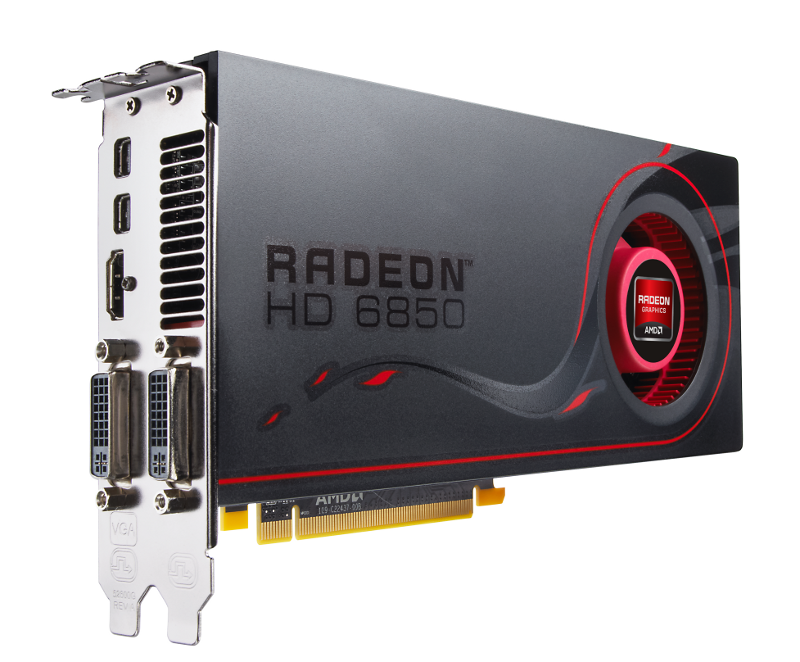 A cheap Shakespearean knock-off reference doesn’t really do justice to the way AMD has positioned itself currently with the pending Radeon 6000 series release along with its line of “Llano” APUs… But then, I’m not really much of a writer, and this ain’t no renaissance. AMD has closed the book on its successful history with ATI branding by recently folding ATI into the AMD name as one in the same. 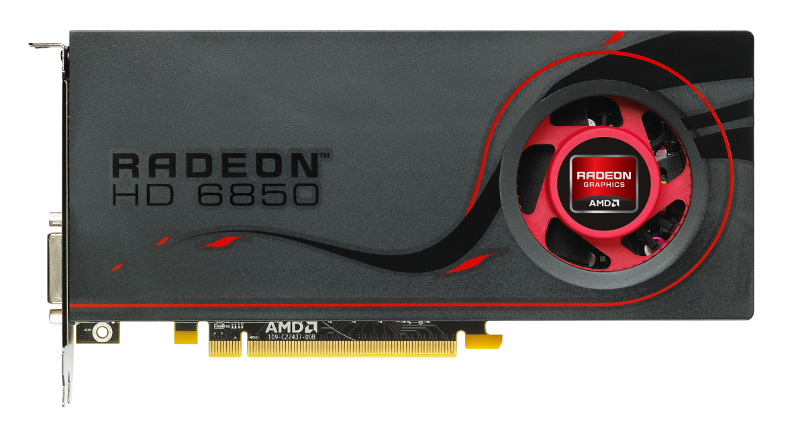 In doing so, the dramatic timing and importance of this shift is AMD making a statement that should not go discounted. They are saying AMD is bold. AMD is confident. AMD is ready to ring in a new era, changing the landscape upon which the game is played. So wait, AMD is in the landscaping business? You could say that, but I’d liken them more to farmers cultivating the earth from which they extract their sustenance. Looking ahead from the information I’ve been privy to at a recent AMD-hosted press event in LA, in my perspective there won’t be earth shattering results initially, but the meaning behind the signposts AMD has erected around their plot of land point towards a more interesting future. Bottom line? 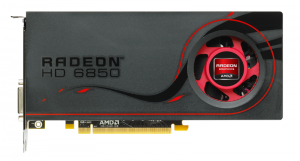 It remains to be seen how the game changes as AMD executes and delivers additional products to market in the coming months. Only time will tell for sure as actual hardware gets out into legitimate channels and ends up in the hands of reliable testers and benchmarkers. If you’ve been looking around at all on the 6000 series you’ll find rumors, fabrications, and lies scattered everywhere across hardware sites and communities as speculation abounds. I’m not here to perpetuate that so I’m sticking to what we can infer directly. So what about those signposts you mentioned? Right now we can touch upon those signposts and in the near future we’ll have a lot more to say about things. 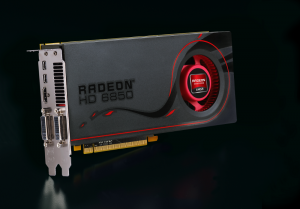 AMD is dropping the ATI label at the same time as its releasing the successor to its hugely successful ATI 5000 series cards and its first Llano Fusion APUs (quad-core, 32nm, based off Phenom II architecture, DX11 GPU on die, low power draw). 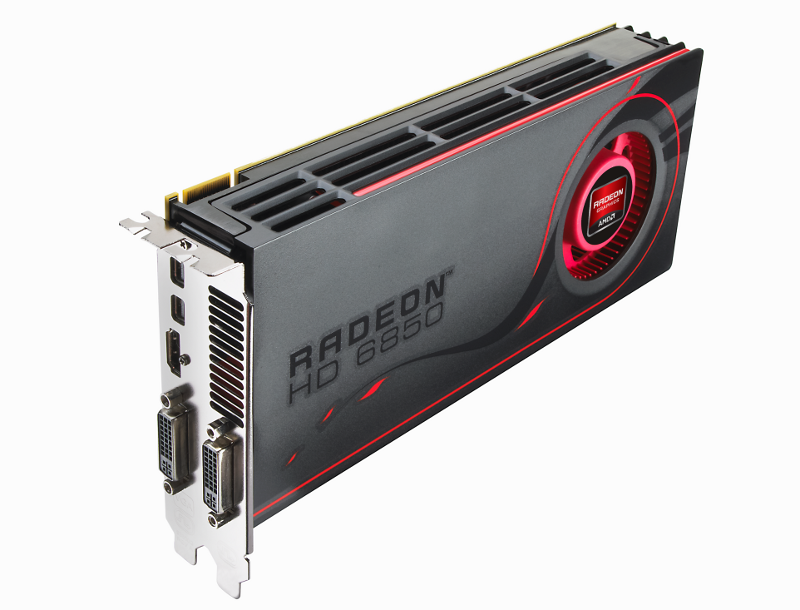 While letting the Radeon 6000 series out of the barn, the first AMD processors with integrated graphics on die and DX11 support are also being tossed into the hen house to chase around the low power draw and low budget chickens. Ya, I called them chickens! We’re overclockers here so while “low power draw” and “low budget” has its audience, this isn’t it. But there’s a large market out there and its growing. It’s clear AMD is looking to leverage the success of their Radeon line and capitalize upon the timing of Fusion being ready for market to bring “both sides of the house together” in more ways than one. ATI+AMD -> AMD. GPU+CPU -> APU. The moral of this “Old MacDonald” story? AMD is paving the way along their product lines to make the GPU a base component of any build, and raise consumer and developer expectations regarding the sort of graphical computing power they can depend upon from their platforms. 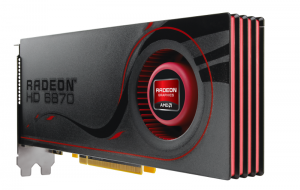 So while Llano may not find much relevance in our core overclocking focus, the strategic impact AMD is launching is a calculated tactic to raise the graphics bar – every Fusion APU is set to bring unprecedented baseline DX11 performance at a price point and power profile that any consumer system can accommodate, and thats a variable that hasn’t been present on AMD platforms until now. 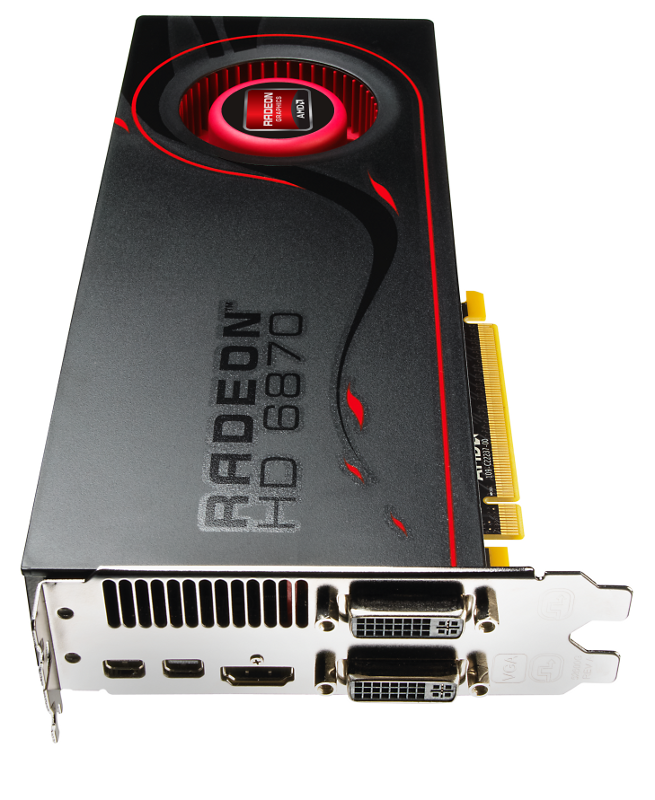 So if a Fusion APU can bring you that, what can a discrete Radeon GPU bring to the table? Perfect, AMD hoped you would ask! 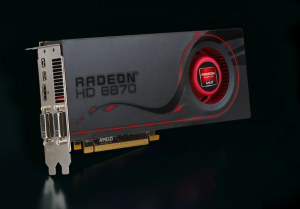 AMD is emphasizing that its focused strongly on gamers and GPU compute operations built on top of adherence to open standards – they believe openness stands to hit the ripest, broadest market while encouraging stronger developer support and adoption. 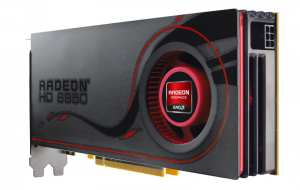 AMD is emphasizing that Fusion isn’t intended to supplant discrete GPUs, but maybe its just going to wet the market’s whistle so to speak and they expect it to be a great solution in typical casual workloads, and surprising in more demanding loads also. Still, when you need more performance, more compute power, higher framerates, and more good old fashioned “oomph” – the discrete GPUs in their 6000 series will be there to deliver with products at a price point thats strong in the discrete market “sweet spot”, as well as products at performance levels that make enthusiasts like us pony up the big bones. 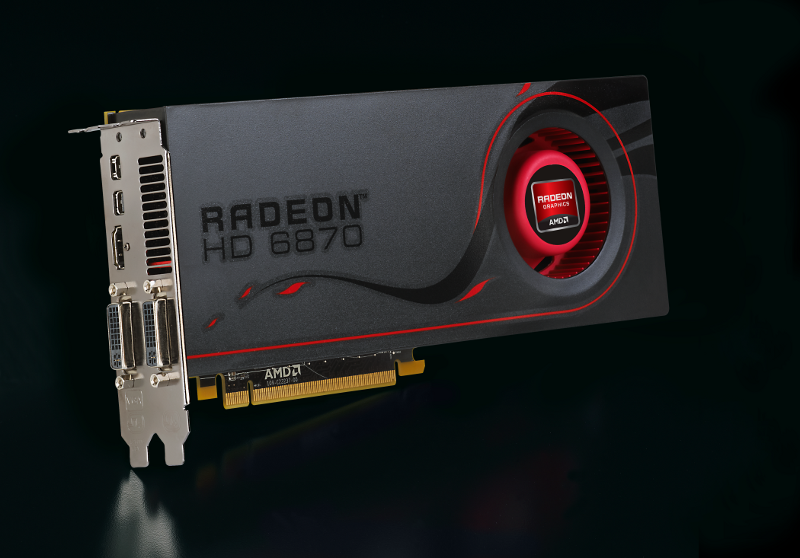 While that sets the outlook for what AMD is sowing in its fields, we’ll have to wait just a touch longer to dig deeper upon solid ground examining the details regarding actual hardware characteristics and performance numbers. What could possibly hold you over until then? 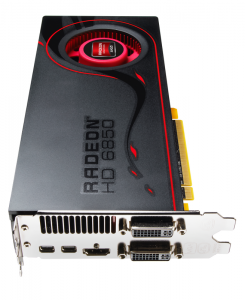 Hopefully some official photos from AMD will do the trick, because that’s all we got for now! 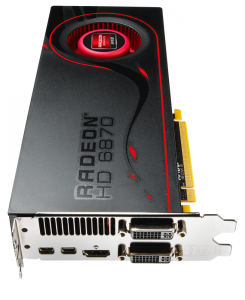 AMD Radeon HD 6850 on the left; AMD Radeon HD 6870 on the right. Ever found yourself stuck in an obtuse barnyard metaphor you thought might never end? Happened to me once. But don’t get it twisted, these new AMD products are certainly no cow dung and we’ll get back to you on solid, reliable performance numbers as soon as they are ready! Niceee... the design of the card is beautiful. Wayyy ahead the 5000 series, expecially the front grille, much more appealing than the two childish intake holes. I think you'll be fairly happy once we can talk numbers. If you like the 6850/6870 will really depend on where the prices land - they are targeted at hitting a certain price/performance level, and if that balance is right for each individual will determine the reception they get once you see the numbers. 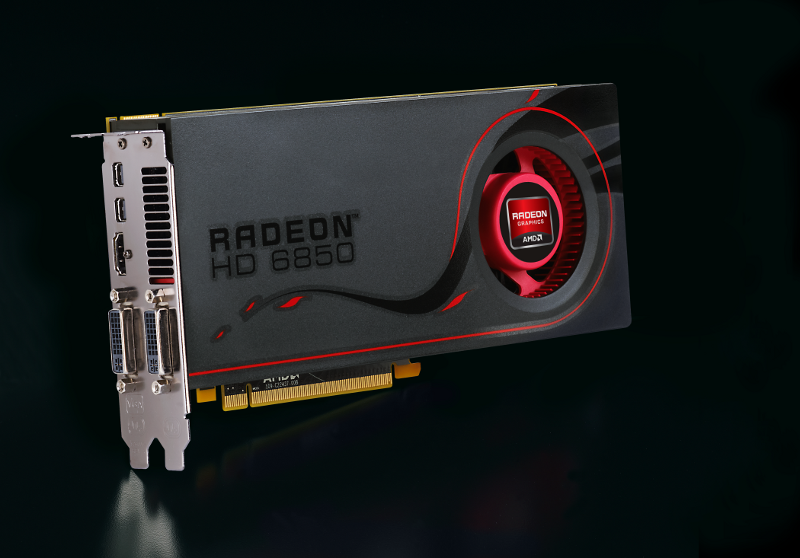 These cards are not intended for breaking new performance levels at the very top end, which essentially means they are fleshing out the price/performance options you have in the upper mainstream GPU market. Again, I don't know how well people will like it until they see the price and the performance, but I expect it to be an alright reception for these cards specifically. 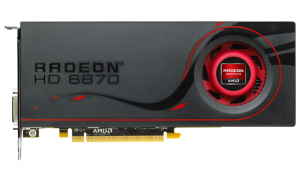 If you are looking for something more, AMD has not forgotten you. They have things planned for the enthusiasts, but again we can't say exactly until we can talk numbers and the primary channel reviews drop. I expect it to be well received by our crew, and it will likely fill some of the desires I've heard people expressing in response to these 68XX cards. 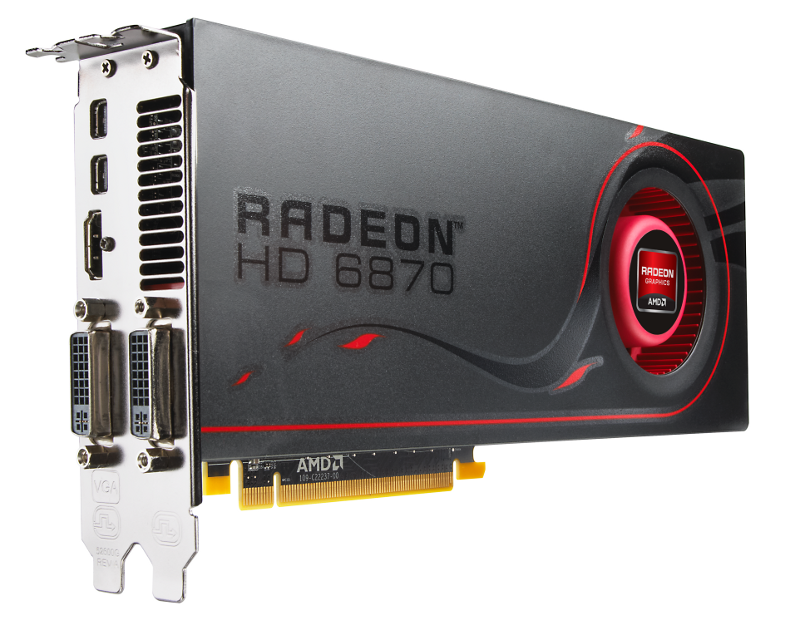 Great to have a new series coming out, but I think AMD are completely off their rocker if the 6870 isn't faster than the 5870. If the 6850 spanks a 460 768MB by 30% (which should put it in the ballpark of a 470, but these are internal AMD numbers) and comes in at $200. Wowzas. @ IMOG. 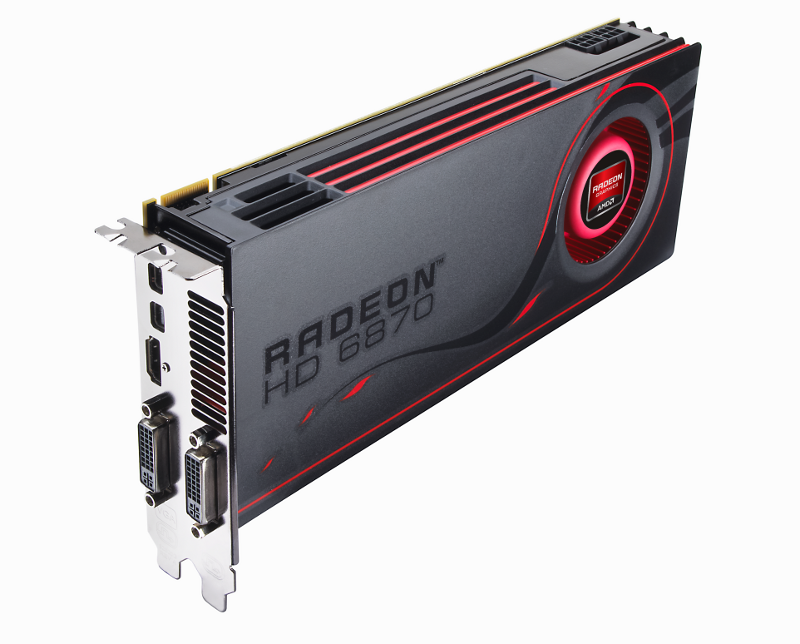 Does overclockers.com have a sample of these cards for review? I think you should view it as a sort of side project aimed at killing off nvidia for now. This new series should raise the bar for performance / $ ratio and will also be a good learning exercise for ATI. Considering the 4xx series has just recently come out from nvidia ATI still seem to be leading and I don't see how this could be called a backwards step at all. 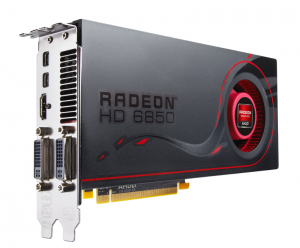 Also, can't wait to see the 6970 specs! Roll on November! When does the NDA lift? 10/22? I'm not a lawyer, and I'm not sure if I'm allowed to make any statements regarding that topic, so I'd rather play it safe and say nothing. I can say however we are in communication with AMD regarding the sample, and we won't be the first to publish benchmarks or reviews, pending some details being worked out that are outside of our planning and control. Great to hear that we have a sample card for review! Though it's a shame that we can't be the first to publish; would have been some nice publicity for the site. I'm glad overclockers.com have one ready! :D Can't wait to see the benchmarks! Is(Was when you reply) the sample you have borked and thats why we wont be able to publish when it lifts Friday? Cointenly! Whoop whoop whoop! Wiseguy ehh?!!! The wife will hate me one day~!